The medium chandelier in the Il pezzo range maintains maximum impact in this celebration of natural materials seen here in hand-forged satin brass framework supporting elegant hand-blown crystal 'candles'. 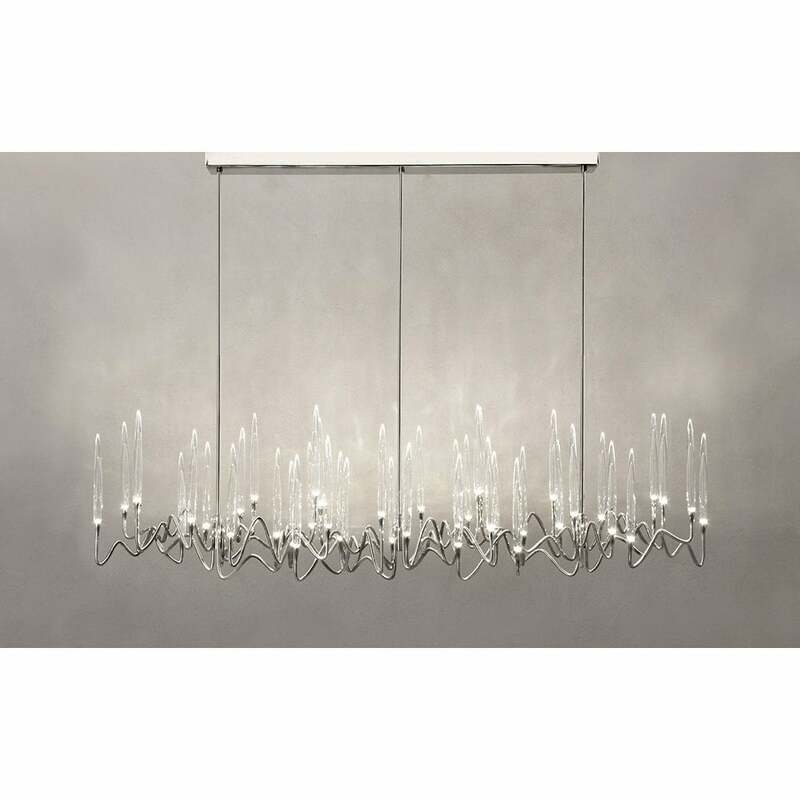 The chandelier range truly reflects the passion and craftsmanship of this highly skilled team and their thoughtful design phylosophy showcasing symbols of timeless elegance being rediscovered and enjoyed in modern life. Inspired from Arabic calligraphic art and the iconic candleabrum this is a masterpiece in it's own right and a definite talking point. The 'candles' are illuminated using the latest Led technology creating a sophisticated, romantic lighting for your dining or relaxation space. Light source 18 x LED 2,7W (85 ImW) Each lamp is numbered and hides it's own identity stamp that seals and gaurantees it's authenticity and uniqueness. Also available in nickel and black nickel finish and custom sizing. Please call for pricing enquiries.